Designer brand e-commerce platform ICY announced on September 3rd that they raised nearly 100 million yuan in Series A funding. Fosun RZ Capital was the lead investor and 36Kr also participated in the investment. Established in January 2017, ICY provides affordable designer brand clothing for young “white-collar” customers aged from 25 to 35 years old in first-tiered and second-tiered cities. ICY cooperates with designers with a “copyright-commission” model. With a smart-buyer system, the platform screens and evaluates samples provided by designers. After confirming the first batch production (usually within 100 pieces), products enter the sales system. Designers are paid with the copyright fee based on sales. Currently the platform has cooperated with more than 200 designers. The annual GMV exceeds 150 million yuan. The average customer spending is 500 to 800 yuan with a monthly repurchase rate over 25%. E-commerce service company D1M announced on September 6th that they raised hundreds of millions of yuan in Series A funding, invested by Adrian Cheng, the founder of K11. The funding will be mainly used to strengthen the R&D of core technology and the integration of digital retail service chain for international expansion. Established in 2012, D1M provides one-stop digital retail solutions for medium and high-end consumer brands, including e-commerce consulting, IT development, digital marketing, channel operations and e-commerce platform operation. Currently, D1M has cooperated with over 120 well-known brands and major luxury goods groups in China and Asia-Pacific. 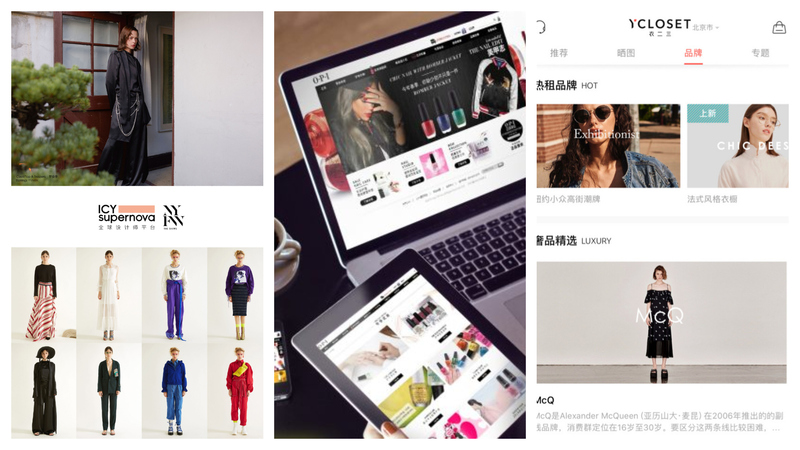 Fashion co-sharing rental platform YCloset announced on September 8th that they raised a new round of strategic investment from Alibaba Group. The detailed amount was not disclosed. Previously, YCloset raised 50 million US dollars in Series C funding with Alibaba, SoftBank China and Sequoia China as lead investors. The new funding will be mainly used to expand teams, upgrade styling algorithm system and build a smart operation center integrating warehousing, cleaning and distribution functions. Established in December 2015, YCloset provides fashion rental services for female customers. After member registration, customers can rent three items from the platform each time with unlimited number of times at a monthly fee of 499 yuan. In addition to rental services, customers can also purchase fashion items. The price is calculated according to the rental turnover rate. Currently members’ fee accounts for 75% of the company income. The rest is from customer purchases. On the sourcing side, the platform has shifted from buying from brands to cooperating with brands at a commission on rental and sales income. There are over 500 brands on the platform with over 20,000 SKUs currently.